Selling your home is one of the largest transactions you’ll make, so make sure you don’t miss a step in the process. During the selling process there is tons of paperwork that needs to be completed. A real estate professional ensures selling your home will go smoothly and will also be able to alert you should problems arise in which you need to consult with a lawyer. Putting your home for sale cannot become your full time job--it will be difficult to get home from work for showings, make flyers, etc. A real estate agent becomes your marketing specialist and will be able to run open houses, set up showings, and other marketing activities to get your house seen by interested buyers. Agents are typically connected to other agents, so are able to provide referrals that help you get a quick sale. Negotiating is tricky. 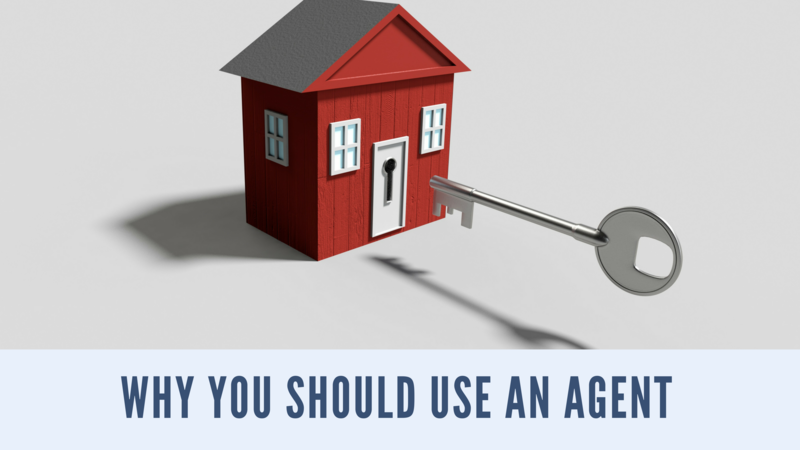 While you may think it would be easier to not have the middle men (the buyer and seller real estate agents) the negotiation is not always easy. Be prepared. An agent acting as a messenger or bad guy in the process prevents any disagreements that could result in a deal being pulled from the table. Once you are under contract the agent will have many recommendations to assist with any final details to get you to the closing table. Selling your home can be a long process that ends in a significant financial transaction. A real estate professional is a huge benefit to you during the process. The expertise of an agent allows you to better navigate the rocky waters and end up on the other side with a transaction with your best interests in mind. Please give us a call today if you are looking at listing your home.